Once upon a time in a land not so far away lived five dogs. Firm friends, they used to spend their weekends having fun and making the most of life the only way they knew how - with a happy face and a wagging tail. A lust for life bonded these regal friends and as the festive season approaches, we wanted to reflect on their year so far and what they could look forward to this Christmas. Celebrating Christmas as well as his third birthday in December, it's a month Stewie really looks forward to. He loves spending time with his family, although he could probably live without the animated Christmas ornaments which make him jump, especially the giant Santa on the stairs ready at a moments notice to blast out cheery tunes. His favourite part of the day is the post lunch forest walk with all of his favourite people. If he's lucky, he might bump into Wilbur and his automatic tennis ball thrower at some point over the festive break too. Pancake the Pug is the youngest of the group at only 9 months old. This will be his first Christmas so he'll be learning all about what presents are. He has learnt lots of new tricks this year, perhaps at Christmas he'll learn how to open every single present at once? 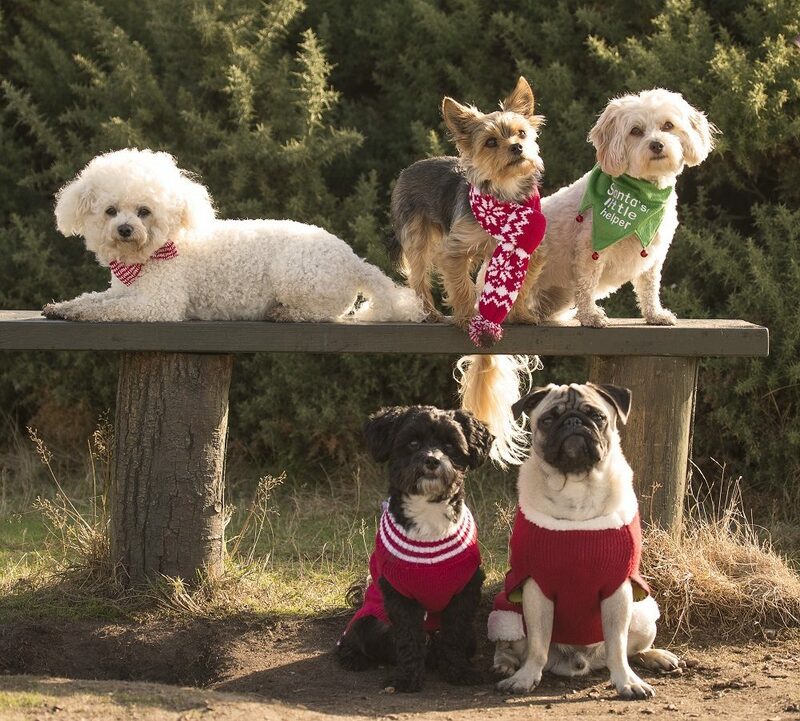 A four year old Bichon Frise, Lunar will be helping to guide Pancake through Christmas. Lunar and Pancake's owners are sisters so they will enjoy the day together. Lunar is wishing for snow because she does a great impression of a snow dog romping and rolling around in it while the snow sticks to her fur. Poppy the four year old Poochon is most looking forward to spending the day with her canine cousin, Bliss, because after all, it means she can have two bones - the one she was given and the one she can hide to 'keep it safe for Bliss'. Nudge, nudge, wink, wink. Poppy loves Christmas. There are lots of belly rubs to look forward to and of course, the Christmas tree will have what she thinks is a potty pad masquerading as a skirt. What fun! Scout, the oldest boy of the group, is a five year old Yorkie and this year has been one he won't forget. He found new friends at Royal Walkies who he could enjoy spending time with expanding his and his owner's social circle in London. Scout always takes part in a photo session with his family before Christmas with everyone sporting their Christmas jumpers and for being such a good boy he'll be rewarded with some delicious Christmas goose for dinner on 25th December.